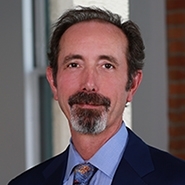 SAN FRANCISCO, CA (July 31, 2002): Buzz Hines, a partner with the Environmental Practice Group at Farella Braun + Martel LLP, has been selected as the 2002-2003 Co-Chair of the Environmental Litigation Committee of the American Bar Association's Section of Litigation. Mr. Hines's responsibilities will include developing the committee's strategic plan, enhancing the involvement of minorities and women in the leadership of the Section of Litigation and ensuring continued strong attendance at the Section Annual Conference and the ABA Annual Meeting. He will also help develop a subcommittee structure to assist in the implementation of the Committee Plan, work on increasing membership of the Committee and the Section, and assist in the development of newsletters and educational materials for the Committee's members. At Farella Braun + Martel, Mr. Hines represents clients in a wide array of environmental and related matters including complex governmental and private enforcement actions, for instance, state and federal Superfund and natural resources actions, air and water actions, and multi-media agency proceedings. He also represents clients in civil and criminal environmental actions. Mr. Hines provides domestic and international counseling regarding chemical regulation and compliance with federal and state environmental laws and counsels clients concerning agricultural and related product issues, and provides advice and representation to clients in the bottled water industry. In addition, he assists clients in the evaluation and implementation of environmental management systems, and in the performance of compliance and regulatory audits and due diligence investigations in corporate and real estate transactions. Mr. Hines also assists clients in the placement of environmentally related insurance products. Mr. Hines received his J.D. from Golden Gate University and his B.A. in Economics from the University of California at Berkeley. He is a frequent speaker on environmental law topics, and an adjunct professor for Golden Gate University School of Law's Environmental Law program. He also serves the U.S. District Court for the Northern District of California as a court appointed mediator. Since its founding in 1962, Farella Braun + Martel has achieved a national distinction for its complex commercial litigation practice, its high profile cases, prestigious client base and the acumen of its business practice. With 120 attorneys in the firm's San Francisco office, Farella Braun + Martel serves a diverse group of clients from multinational corporations to emerging businesses including Applied Biosystems, Crystal Geyser Water Company, Degussa AG, Ikon Office Solutions, Inc., VISA U.S.A., Inc., Verizon Wireless Services, Dolby Laboratories Inc., The Robert Mondavi Corporation, McKesson Corporation, General Electric Company, The University of California, Silicon Valley Bank and Dainippon Screen Manufacturing Company Limited. Farella Braun + Martel also maintains an office in the Napa Valley, focused on the wine industry and related businesses. The firm's practice areas include complex commercial litigation, intellectual property litigation, insurance coverage, construction litigation, environmental counseling and litigation, employment litigation, white collar crime, real estate, land use, corporate and securities, tax, family wealth and business planning and the wine and agribusiness industries.